An injury that keeps you out of work can affect your livelihood. At our law office in Texas, I understand that work-related injuries often cause physical, emotional and financial struggles. 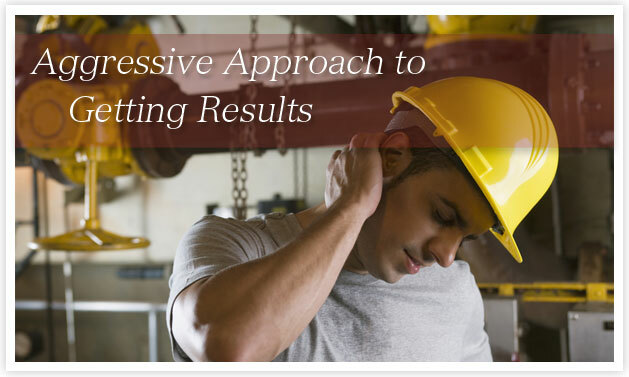 We represent people suffering from serious on-the-job back, shoulder or other injuries. We make sure my clients get their questions answered and that they understand their rights. If you have legal questions and concerns after suffering an injury in any type of work-related accident, please contact us to schedule a free initial consultation with an experienced Texas workers’ comp lawyer. 4 Collecting Workers’ Compensation? You May Be Entitled to More. As a Board Certified Specialist in Workers’ Compensation Law, I strive to understand the nature of your work injuries and the true impact of them, including how physical limitations and bouts of depression have affected your life. With that information, I communicate how personal injury and worker’s compensation laws can work for you. Depending on the situation, you may be entitled to additional compensation against a negligent third party (other than your employer). While it is tempting to resolve your workers’ comp case immediately with the insurance company, you need to focus on your long-term needs, not a short-term financial gain. For example, if you have a foot or ankle injury, we have worked with only the best Austin podiatrists. Although a quick settlement of your workers’ compensation benefits or other benefits may initially reduce the strain of your injury on your family, it typically will not sufficiently address your future needs resulting from your work injury. As an experienced workers’ compensation lawyer, I advocate for clients in any workers’ comp appeal situations where their insurers have denied claims of injury or wrongful death, and those denials have risen to insurance disputes. As Texas work injury lawyers We have been serving clients throughout Texas for over 32 years. Regardless of the nature of your on-the-job injury, and the parties involved, rest assured that your legal matter will receive due attention and a professional response from me. Schedule a free initial consultation with an experienced Texas workers’ compensation lawyer at your home or your loved one’s hospital room. Collecting Workers’ Compensation? You May Be Entitled to More. Workers’ compensation laws prevent workers who are injured on the job from pursuing claims against their employers. Medical expenses and lost wages are covered under the employer’s workers’ compensation insurance policy. However, many injured workers do not realize that that other negligent individuals or businesses can still be held financially responsible if their negligence contributed to the accident. Slip and fall accidents at work: A fall down the stairs, a slip and fall on slippery or wet floors or a trip and fall on a cord or exposed wire — while you may be entitled to workers’ comp benefits if the slip and fall occurred while you were working, you may also be capable of pursuing compensation in a third party negligence claim. This could involve a claim against a business responsible for cleaning or maintaining the floors, a claim against a homeowner’s policy or commercial liability policy when the accident occurred away from the office or worksite or other negligence claims. Car accidents while on the job: Not every work-related accident occurs while you are actually at work. Delivery workers and other workers can be injured in car or truck accidents, including Texas work vehicles, while performing regular job duties. In addition to filing a workers’ comp claim, you may be entitled to compensation from an at-fault driver, a defective truck part manufacturer or other negligent third parties. Construction site accidents: The varying degrees of employer-employee relationships on a construction site can make it confusing when trying to file a claim for an injury suffered while working on the job site. Liability claims beyond workers’ comp claims may be possible when someone other than your employer is responsible, such as another subcontractor, a manufacturer of a defective or dangerous forklift or crane or a company responsible for site prep and setup of scaffolding equipment. Whether you need assistance filing for workers’ compensation benefits, obtaining a fair workers’ compensation settlement for permanent injuries suffered on the job or maximizing your settlement against negligent third parties, I have the experience and commitment to provide the strong advocacy you need.